Home » Painting & Modelling » Samurai – what scale of warfare? I’ve aimed this primarily at the Sengoku period, though some earlier periods are referenced. 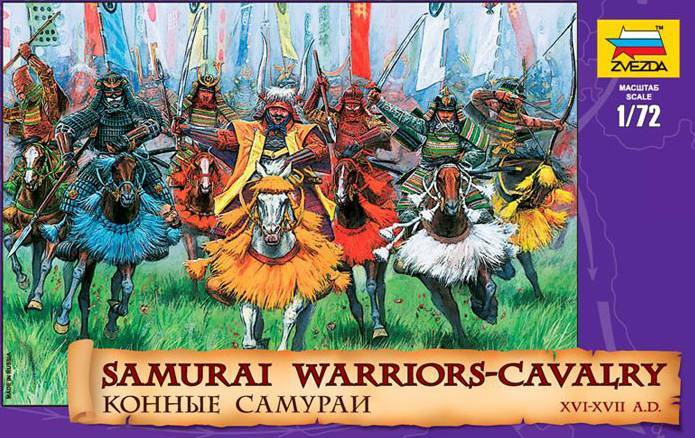 Baccus 6mm – Baccus have a relatively small but comprehensive range of Samurai miniatures. 8 packs in total, but they cover all the main troops you will need. Their ‘Medieval Samurai’ range also include miniatures suitable for Ronin and Warrior Monks, plus a pack of Pavises. Irregular Miniatures – Irregular have a small range of 10mm Samurai in addition to their 6mm range, though the poses and armaments are limited. Pendraken Miniatures – A fairly comprehensive range of 20 different packs of figures including Samurai (Mounted & Foot), Ashigaru and peasants, plus guns and monks. Kallistra – Whilst these are listed as 12mm rather than 10mm, and look to be Medieval rather than Sengoku period, there are several packs of Samurai, Asahigaru and Monks in this range. Irregular Miniatures – A range of 20 packs of figures, though lots of poses with Naginatas rather than Yari. Old Glory 15s – A reasonably large range of miniatures: 28 packs in all including some more unusual packs such as female samurai and unarmoured samurai. Also available from Timecast Hobbies. Museum Miniatures – A range of over 40 different packs of miniatures, including some more unusual items such as camp and baggage items, as well as a drum. Lancashire Games – A small range of 15 packs of figures – does include a pack of civilians. Peter Pig – Large range of figures, with over 50 packs available. Includes casualty figures and several different generals. Two Dragons – Possibly the largest range of 15mm Samurai available. Eureka Miniatures – One of my favourite ranges of 15mm Samurai, with 27 different packs available. Legio Heroica – a range of 14 packs of Samurai and Ashigaru – sashimonos are sold separately. Essex Miniatures – Quite a large range of 30 packs of figures, though these are Medieval period rather than 16th/17th Century. BandB Miniatures – Quite a large range of 33 packs of metal miniatures, ranging from individual heroes to unit packs. Plastic Miniatures – There is quite a large range of 20mm plastic boxes available, including Caesar, Red Box and the excellent Zvezda range. Kingsford Miniatures – Around 40 packs of figures in this range, including group packs and individual miniatures. Perry Miniatures – Very large range of some 66 packs of figures. Probably my favourite 28mm range. The Assault Group – large range of figures available – over 40 packs. West Wind Productions – 10 packs of figures available, plus larger unit boxes and separate heads, plus a couple of great character figures. BOF Studio – Something slightly different, as this company has over 50 individual models, with a game themed around a Japanese version of Robin Hood: Ronin Hood. Zenit Miniatures – a range of 27 packs of miniatures, including some fantasy miniatures. Designed for the ‘Kensei’ game, but most packs useable in historical games. Steve Barber Models – a range of 48 large scale miniatures. Without doubt my favourite range of Samurai models currently available, in any scale. Note: This is by no means an exhaustive list of the miniatures available, but rather something of an overview – please let me know of any I have missed and I will add them to the list. 3 Comments on Samurai – what scale of warfare? You should really look at Lion Rampant for Samurai battles. Battles are big enough to give a nice period feel but not too much commitment in the number of figures required. You can start off playing rules like test of honour, ronin or daishio with a small force and build up to a Lion Rampant force. I already have quite a bit of eureka 15mm Samurai which are excellent but for 28mm it’s got to be Perry. Thank you for taking the time and compiling this list. It will be very useful to anyone starting an army. I was very tempted to do something Jaoan related when I had a stop over in Japan. The Tamiya Japanese castle sets are really impressive and should work with smaller scales.